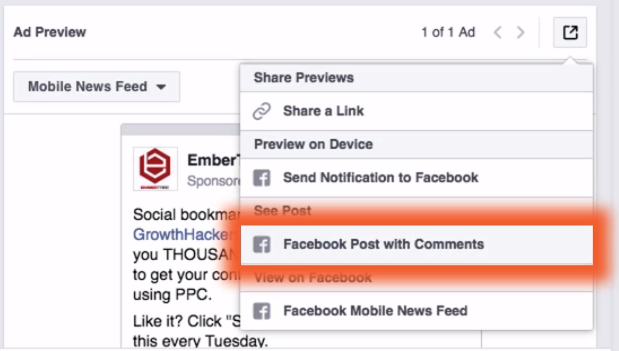 A Facebook ad that gets a lot of likes, shares or comments, is a HUGE asset. This type of engagement is called “social proof”. Social proof is like a Jedi mindtrick for your audience - they inherently TRUST more when there's strength in numbers. But what happens when you try to duplicate your high performing ad and show it to a new audience? All of those likes, shares and comments are GONE! In this video, we’ll walk you through how to re-use those high performers over and over again across different audiences without losing all your social proof. One of the most powerful assets that you have as a Facebook advertiser is an ad that gets a lot of engagement. Shares, likes, comments all of that creates what we call social proof. It builds trust with the people that you're trying to reach. It shows them that there's been a positive response to what you're putting out there and it really helps create a more effective ad. When Facebook advertisers try to reuse those ads, oftentimes they lose all of those likes, shares, and comments all of the social proof. So in this video I want to show you how to use that same high performing ad against new audiences, without losing all of that social proof on the ad that did really well. The problem that we're trying to solve is that when we have an ad doing really well and we want to use it on other audiences when we try to duplicate it, we're going to lose all of those comments and shares. I'm going to walk you through step by step how to get around this, it's a pretty simple fix. It starts with creating what's called a dark post. Now in order for this tactic to work, you have to create a dark post. I'm not going to go through that in this video, but essentially it's creating a post that's just not public or published on your page. So I'll link out to a resource for how to do that. You create a dark post, and that's what this is. And really, what that allows you to do is split test against different audiences. If you use a tool like AdEspresso, or you're a natural at using dark posts, that's what we're dealing with here. Okay, so step one is to find that ad that's working really well for you. And we need to find the permalink. Find the URL, where this ad lives. Or maybe more accurately, where this dark post lives. To do that, click on the ad, click Edit. Now we're going to click this little icon with the arrow in a box and then scroll down to Facebook posts with comments. You'll see that this loads up the ad and you can see that I have some good engagement here, some good comments and conversation, I want to reuse that. Select the entire URL and I would recommend putting it into a Notepad or something that's just easier to manipulate text. Then what you're looking for is the post ID and it comes after this little folder here posts. So grab this number all the way up to the question mark and then copy it, you're going to use that in a later step. 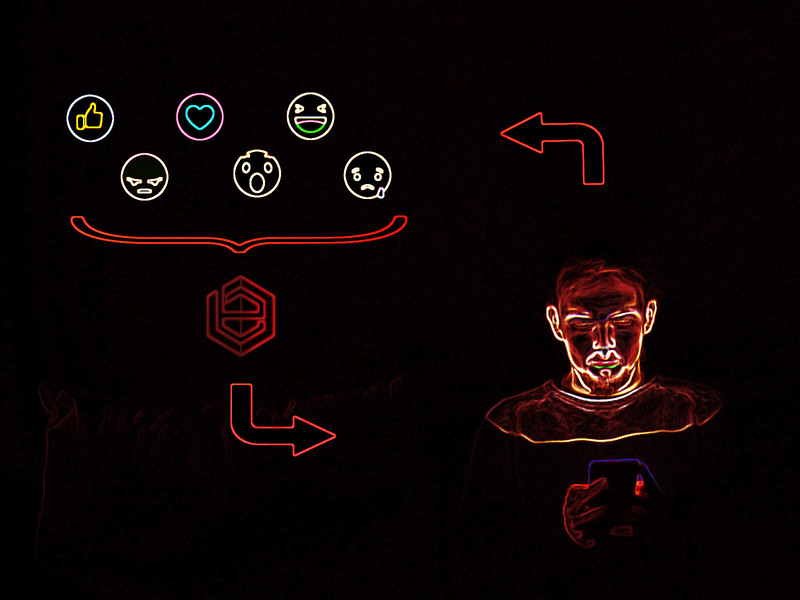 Now the next step is to go and create a new ad just like you're used to doing for your normal Facebook ads. Choose whatever objective makes the most sense. I'm going to choose Traffic, just for the sake of simplicity and then click Continue. Now, you can go through and choose a new audience here just like you would as you're building a normal Facebook ad campaign, but I just want to get to the point here, so the next step is to go down to the ad section. Click this option "Use Existing Post". Normally, you'd be creating a new ad and using one of these options, Carousel, Image, Video, etc, but in this case, we're going to be using an existing post. You can see that there's some quick ways to grab page posts that have run before but I'm going to click Enter Post ID to find the exact ad that we need. You remember, in the last step I grabbed that post ID from the URL, so paste it in here and click Submit. And voila, it appears right here. You can scroll down and see that the same reactions, the same comments are still there. The beauty of this is I can go back to the Ad Set and I can start to choose a new audience. I can segment that audience, I can just run on a totally new location. But the creative, the ad that I'm going to use is the same one with the same engagement and social proof that we had before. So that's it. Remember, you need to start with creating a dark post. Then find the URL of that dark post. 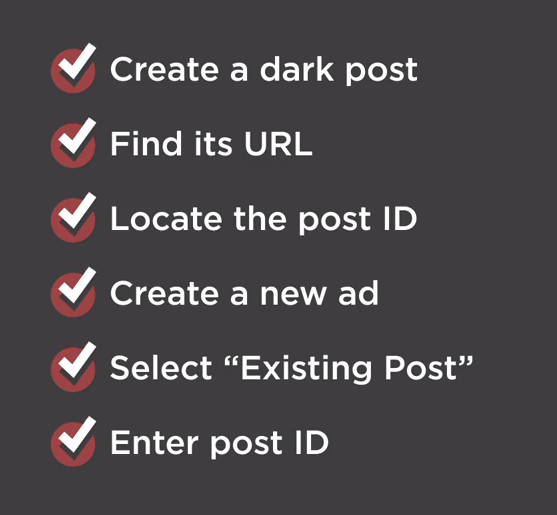 You're going to locate the post ID, create a new ad, and select Existing Post. Then enter your post ID, and that's it. You can do this as many times as you'd like for new campaigns, for new ad sets. And, again, the beauty is that you can take that social proof and carry it with you wherever you go, and whatever your audiences you want to test out. 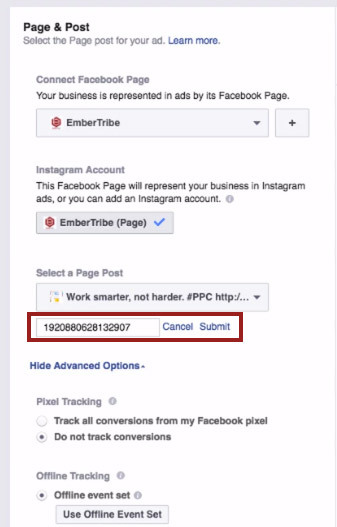 Need help scaling your Facebook campaigns? We'd be happy to talk about how our team could assist your efforts.